The Mayfair Dining Collection by Hanamint offers a classic style featuring intricately designed dining chairs, constructed of a rust-proof cast aluminum and terra mist finish. This collection includes many dining table choices in round, square or rectangular configurations with special features such as built-in lazy susans or expansion capability. 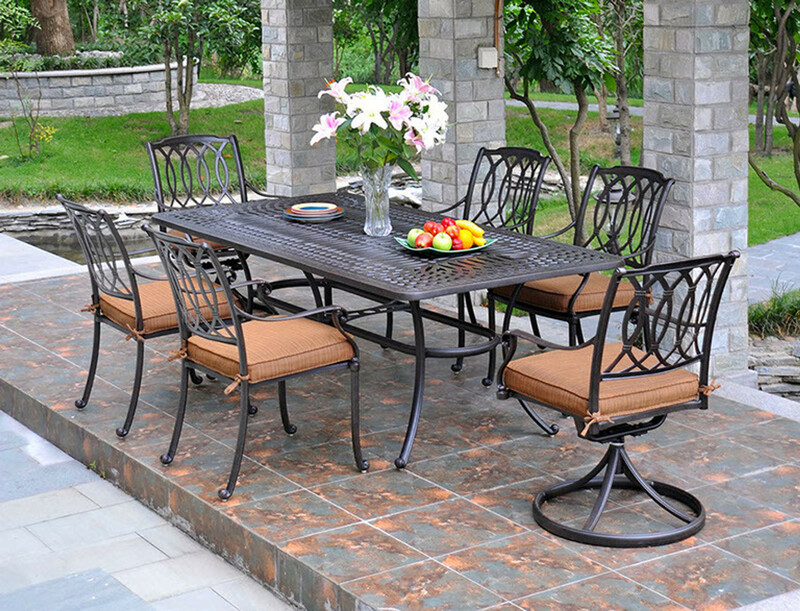 The Mayfair Dining Collection will add comfort, beauty and functionality to your backyard setting.